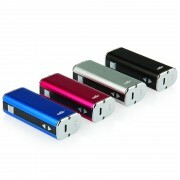 Eleaf iStick 30W has 2200mAh built-in battery. It comes with 5-30W wattage and 2-8V voltage. Featuring stainless steel thread and spring connector, it is fit for the atomizer well. And the newly added arrow button lock can protect the buttons. It is available in multiple colors: black, silver, red and blue. ➤ 1. With 2200mAh battery capacity and 30W max output. ➤ 2. Features temperature alarm function. ➤ 3. Comes with new streamlined design on top. ➤ 4. Adopts stainless steel threads and spring connector. ➤ 5. With arrow button lock functionality. ➤ 6. Clear OLED screen. 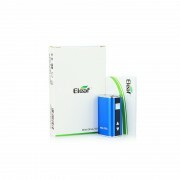 ♻ 3 months for Eleaf iStick 30W Full Kit Without Wall Adaptor.